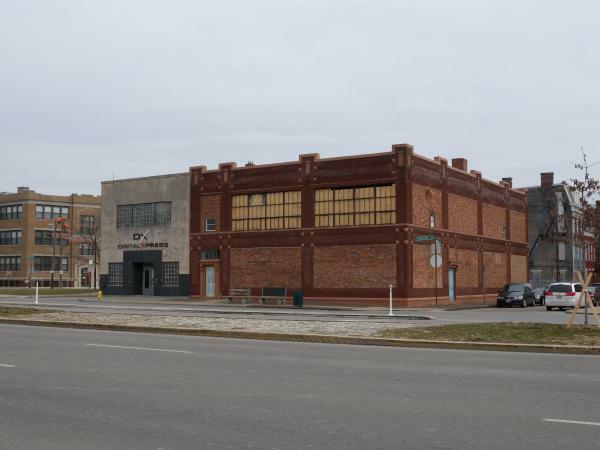 Chatfield College, a liberal arts college with a concentration in business, selected emersion DESIGN to perform a full building assessment to investigate the conditions and renovation possibilities for an existing historic building in Over-the-Rhine. This report allowed the College to complete its due diligence prior to purchasing the 1890s building with 1922 addition. emersion DESIGN also performed a college spatial audit and building Master Plan. An envelope audit with potential solutions was provided along with LEED analysis. Upon completion emersion DESIGN provided a program and schematic design as a basis for probable construction costs. Hazardous material abatement occurred during the design process. emersion created a central student study lounge on the second floor and a café on the first. These spaces become shared space with circulation to conserve space and dollars. Skylights and a cut in the floor provide daylight to the first floor core and create visual access between the floors. Classrooms are along the majority of the perimeter. Their flexible design allows for rooms to expand or contract depending on the needs of the academic term. Some classrooms have acoustic moveable walls. Others have glazed garage doors which open up into a common room for events. Energy models were performed to ensure high efficiency. Model investigations proved that providing the office on the north side, instead of the east as originally discussed, saved energy. This building houses classrooms, student casual spaces, faculty and administrative offices, an art studio, laboratory and a chapel. The project was accomplished in phases - a series of small contracts to work with the College's funding mechanisms. The phases consisted of: building analysis, programming and design intent, schematic design and design development, energy modeling, construction documentation and bidding. 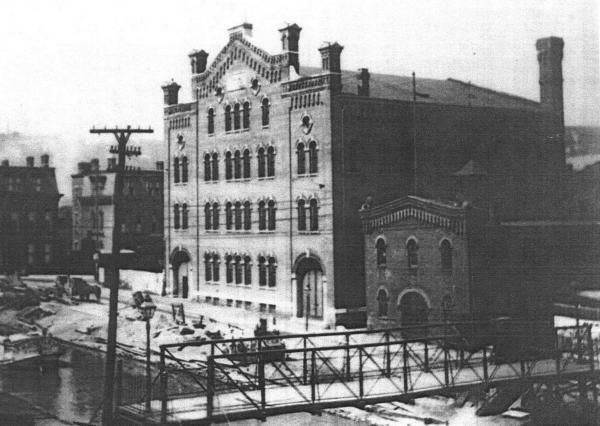 The original building, the small structure shown, was a stable built along the canal for the brewery industry. 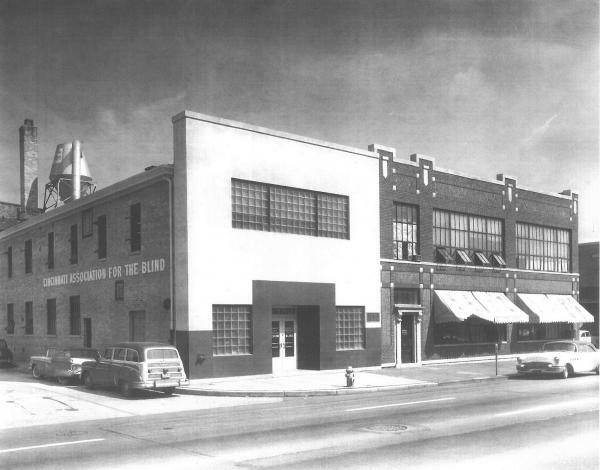 The original structure had 2 additions which served as a broom factory for the Cincinnati Welfare for the Blind. The original building's façade was covered over in the 1940s. Remnant details still exist. 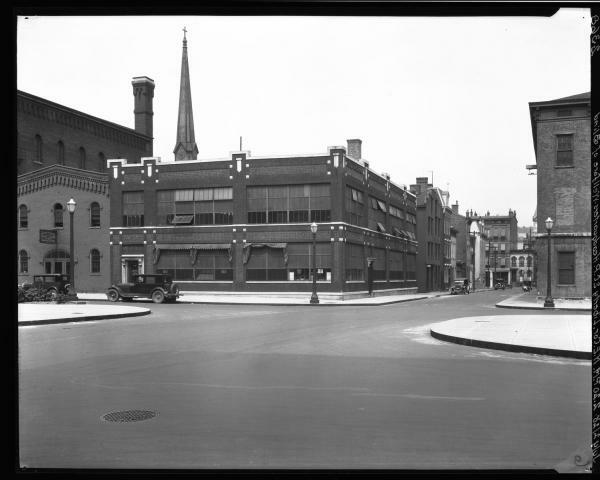 The historic building sat vacant for years on a prominent city corner before Chatfield College invested in the building and neighborhood.